While wee little sippers are still a little down the road for Mrs. Sip and I, they are a subject that is often on our minds and that has inspired today’s article. Here are the Top 5 babies, some of which make having children seem like a great idea, while the others put a vasectomy at the top of the Sip Advisor’s “To Do” list! What do you get when you take the awesome Muppets and turn them into little babies? One of the most imaginative, adorable shows ever conceived, of course. This version of the characters sees Kermit and the gang as youngsters living in a nursery and being watched by the never-seen Nanny. Each episode saw the future variety act stars learning life lessons through their vivid imaginations. The Muppet Babies theme song is an absolute classic that I still find stuck in my head every so often. It would be criminal to not include these two tykes; especially given the Sip Family has named cats after them. Pebbles and Bamm-Bamm go from little neighbours, brought together by the friendship of their respective parents, to dating as teenagers in the sequel series, The Pebbles and Bamm-Bamm Show. Eventually, the pair even got married and had twins. Now, if that isn’t a case of love at first sight, I don’t know what is! While he’s much more intellectually-advanced compared to others on this list, Stewie is still a baby… and he can be a naughty little baby, indeed. For quite some time, his main objective in life is to murder his own mother. 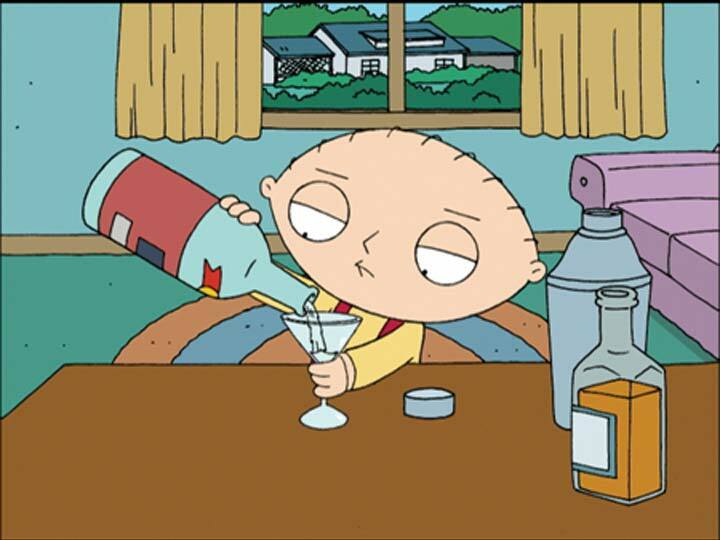 While this desire eventually fades, Stewie hasn’t completely changed his tune and is often getting up to some level of mischief – sometimes in different generations throughout history – thanks to his time machine and other inventions. The adventures of the Rugrats gang typically revolve around the babies learning the ways of the world. This included potty training, first trips to the public swimming pool, and going through the naked phase. Led by the seemingly fearless Tommy Pickles, the other youngsters include the oft-terrified Chucky Finster, and wild twins Phil and Lil DeVille. Tommy’s cousin Angelica was always around to stir up trouble for the babies, who we later got to see as pre-teens in the show All Grown Up. Mrs. Sip and I absolutely adore Maggie, who despite never uttering a word (aside from calling Homer “daddy” in one episode) has found herself a titular character in many of the family’s escapades. With pacifier always nearby, Maggie is capable of so much more than most youngsters her age. Hell, she has already been involved in the attempted murder of Mr. Burns and has also saved her father from the mafia. She even has an arch-enemy: the uni-browed Gerald. Not bad, for an infant. It’s funny how many classic characters have been thrust into a series where they are babies or kids: Tom and Jerry, Scooby Doo, the Looney Tunes gang, the Jungle Book animals, the Archie teens, the Flintstones, and many others. Well, time to put the little ones off to bed and have some adult time! This entry was posted in Shots & Shooters and tagged All Grown Up, Archie Comics, Baby Aspirin, Child Characters, Family Guy, Fictional Babies, Jungle Book, Looney Tunes, Maggie Simpson, Muppet Babies, orange juice, Pebbles and Bamm-Bamm, Rugrats, Scooby-Doo, Shooter, shot, Sour Soother, Stewie Griffin, The Flintstones, The Muppet Show, The Simpsons, Tom and Jerry, triple sec, vodka by Daniel Wilson. Bookmark the permalink.